The Vermont Fish & Wildlife Department encourages the public to learn more about invasive species and help combat their spread. Landowners can play an important role in controlling non-native, invasive plants such as knotweed and buckthorn, while boaters and anglers can help prevent the spread of aquatic nuisance species such as spiny water fleas and Asian clams. This spring and summer will provide opportunities for both groups to assist the state in combatting these species. Plants and animals not naturally found in Vermont are usually spread inadvertently by people. Absent natural predators or competition, invasives can outcompete native species and crowd them out, costing the nation an estimated $120 billion a year through agricultural damage, decreased property values, and lost tourism revenues. A new resource gives Vermonters information about how to easily identify invasive species and provides recommendations for removing them or preventing their spread. The LIEP program, short for “Locate, Identify, Evaluate and Prevent,” is an online tool landowners, boaters, anglers, and concerned citizens can use to prevent the spread of invasive species. “Becoming informed about invasive species around your home and property and taking the steps to remove or control them is incredibly important to support conservation efforts in Vermont,” said Dave Adams, a Fish & Wildlife biologist. 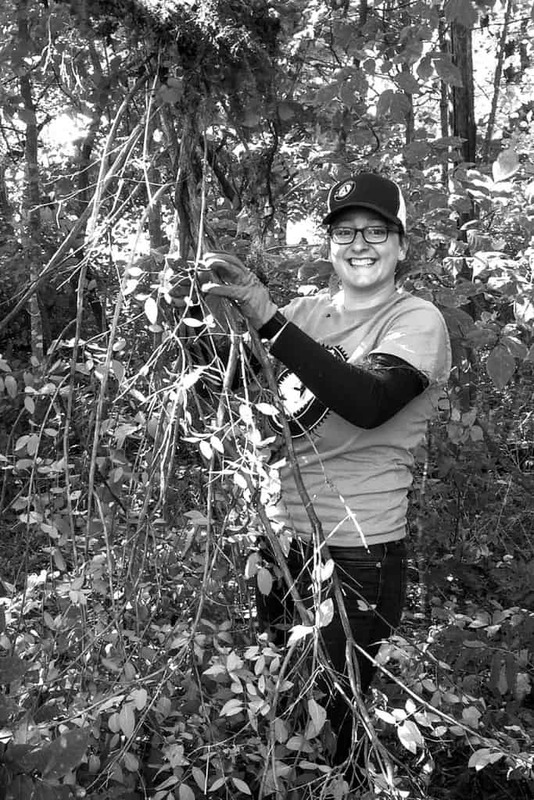 Adams recommends that people remove nonnative, invasive plants, such as barberry and honeysuckle, manually or spot treat them with herbicide. Wash tractors before moving to a new area and check hiking sticks for seeds and plant fragments. An avid angler himself, Adams reminds boaters to clean, drain and dry their boat and trailer after each use. “Everyone who loves the outdoors should take responsible and usually easy actions to protect Vermont’s landscape and important habitats,” said Adams. An ECO AmeriCorps member removing invasives at Lake St. Catherine State Park.